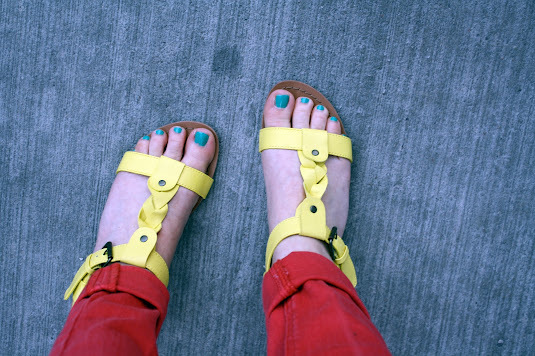 I combated the Monday blues by adding several jolts of color to my outfit in the form of a yellow belt, red jeans and neon sandals. The gorgeous 80-degree day certainly helped to keep my mood light, too. You look awesome! Love these hits of colour! I think the colors are such a fun touch. Warm weather is the perfect excuse for it. Those sandals are beyond adorable - I'll have to keep them in mind while I'm doing my spring and summer shopping! That is the best way to feel perkier...esp when your bright colour are such a saturated red and yellow, so cheery! I'm loving the floaty fit and fabric of that top. Love the pants and the belt--I've been obsessed with waist belts this week. I want a yellow one now! 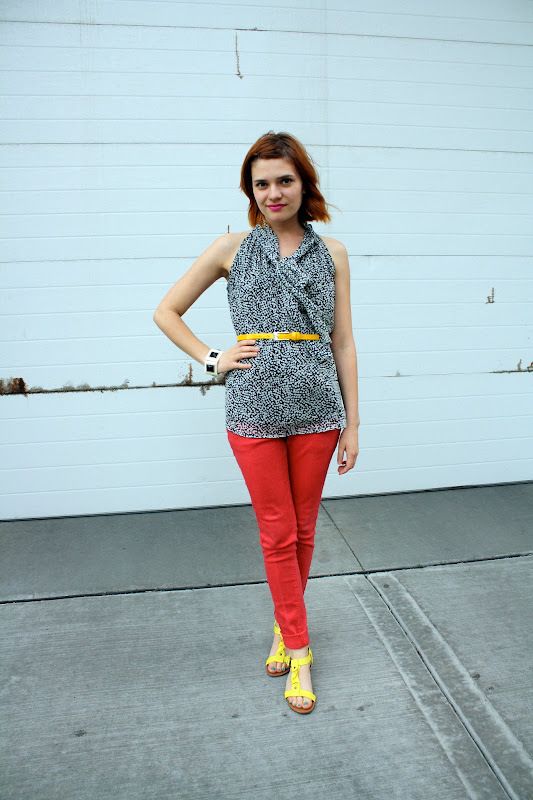 Such a colorful, fun outfit! The yellow sandals are perfect with your coral-colored jeans. You look awesome! Love your jeans!